Clarify and refresh your complexion with the bliss Fabulous Make Up Cleanser Toner Duo; two of the brand's favourite skincare treats that work in tandem to refresh, hydrate and revitalise skin. 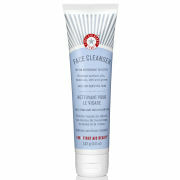 With a gel-to-oil formula, the cleanser glides onto skin to eliminate all traces of oil, make-up and impurities. Experience nourished, silky soft skin thanks to its spa-powered blend of oils, including Mirabelle Plum Seed, Olive Oil and Lavender, which work to condition, soothe and protect against dryness. A refreshing, alcohol-free facial toner to hydrate and protect your complexion. Fortified with Malachite Extract (a copper compound), its gentle formula fights free radicals and shields from environmental damage to leave skin soft, smooth and purified. Calming Rose Water soothes all skin types. 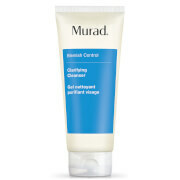 Cleanser: Apply a pearl-sized amount onto dry skin morning and/or night. Gently massage the cleanser until gel transforms into the texture of a lightweight oil. Continue to massage the oil over the entire face and eye area to loosen and breakdown makeup, dirt, and oil. Rinse skin with warm water and pat dry. 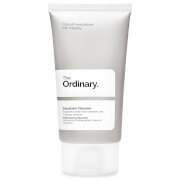 Toner: After cleansing, morning and evening, smooth over face with a cotton pad. Toner: Water, Glycerin, Butylene Glycol, Rosa Centifolia Flower Extract, Plantago Lanceolata Leaf Extract, Biosaccharide Gum-1, Phenoxyethnanol, PPG-26 Buteth-26, PEG-40 Hydrogenated Castor Oil, Sodium Hyaluronate, Malachite Extract, Methylparaben, Limonene, Butylparaben, Ethylparaben, Fragrance (Parfum), Isobutylparaben, Propylparaben, Propylene Glycol, Citronellol, Geraniol, Hexyl Cinnamal, Sorbitol, Chlorhexidine Digluconate, Blue 1 (CI 42090).